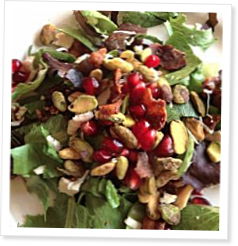 Its eclectic mix of sweet, savory and crunchy is sure to please at least one kid in your house. Holiday treats are all around us, and they are oh so tempting. Your leaves are so crisp and crunchy. I go to you when I want a munchy.